Lomo's Water Rescue Helmet is based on our kayak helmet and has retro reflective stripes on the sides and top to make you more visible at night. 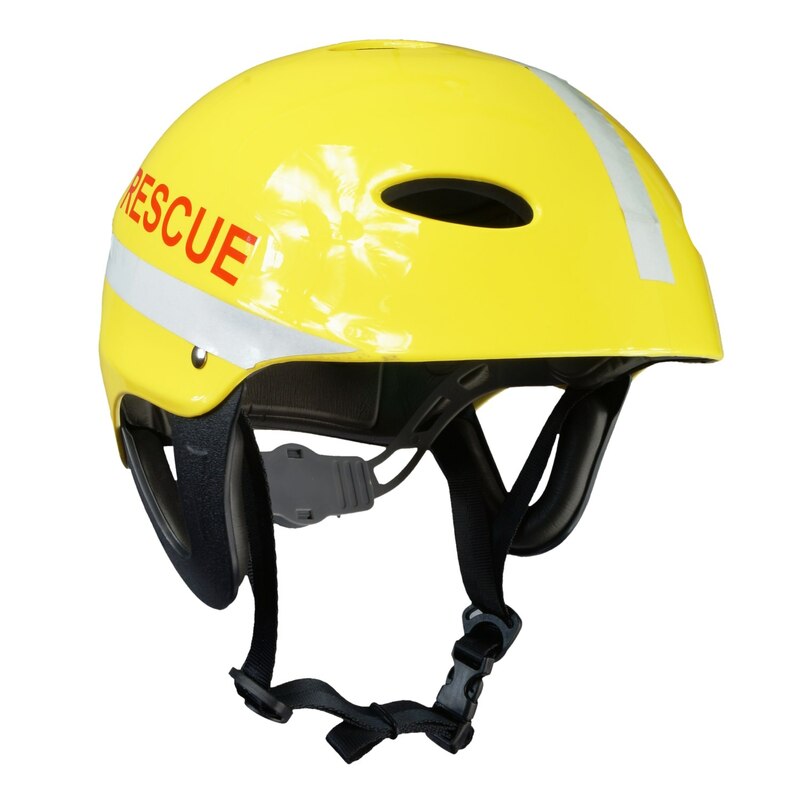 The helmet comes in 3 sizes and has an adjustable tightener at the rear of the helmet. Internally it has comfortable EVA padding and air vents to keep your head cool. 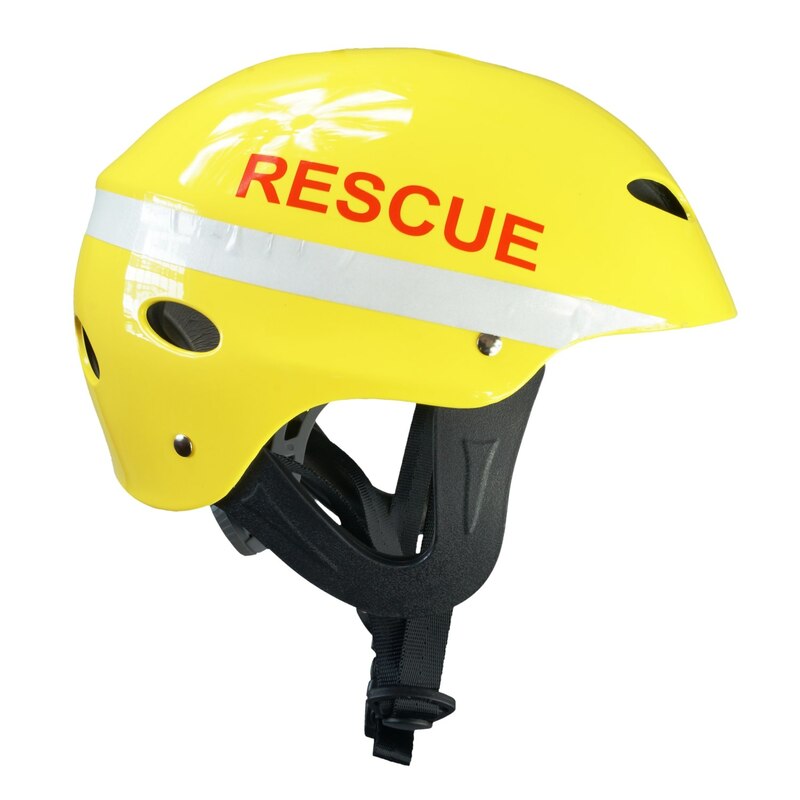 The helmet has the word RESCUE printed in red on both sides. It is made from high density polyethylene giving the shell great durability. The measurements below relate to the measurement around your head measured just above the eyebrows.